On my way today from Kos to Palionissos for the first time this season my fishing was successful. 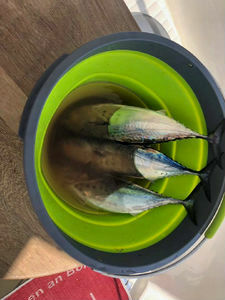 I got 3 fish from the tuna family from 3 different locations. 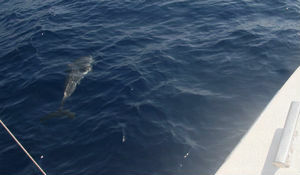 On our way today from Astipalia to Nisyros we just had a long visit of some dolphins. They were jumping around our bow for quite some time enjoying to play with Lady Soul. This was the first time for this season. 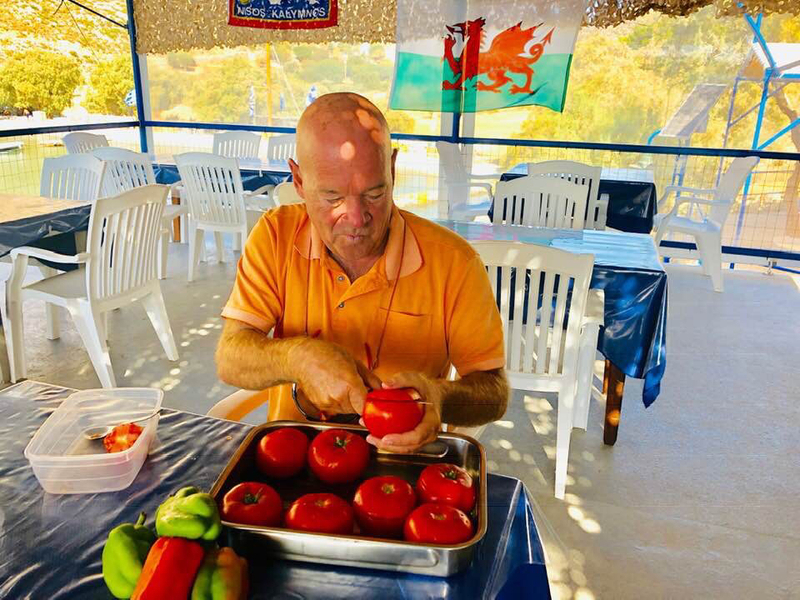 As I will stay for a few days here, I decided to help a bit at the Ilias Taverna. 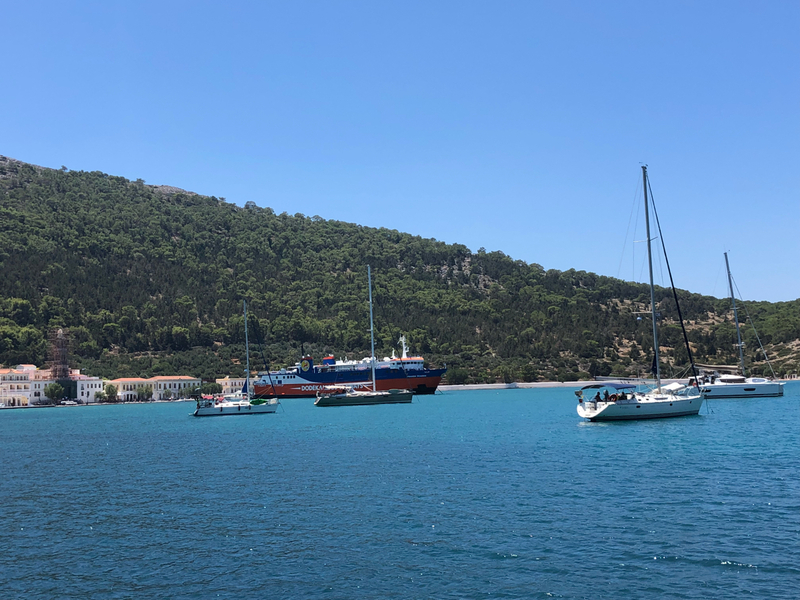 Yesterday we started at 06:00 at Kos Marina and due to the expected strong Meltemi we decided to get out of the main affected area. 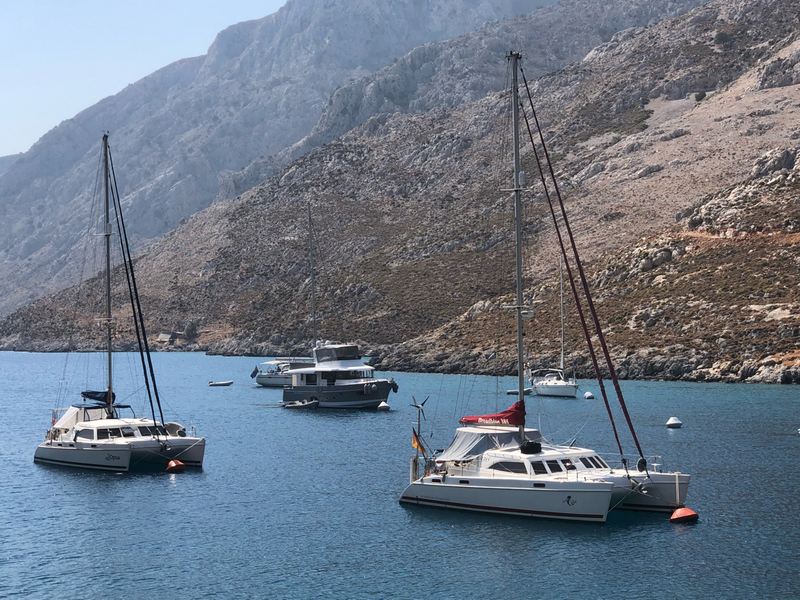 We had a terrific downwind sail to Panormitis, a very well protected bay on Symi island. The bay was also affected by the meltemi and so we had gusts up to 39 knots, quite a challenge for the anchors. 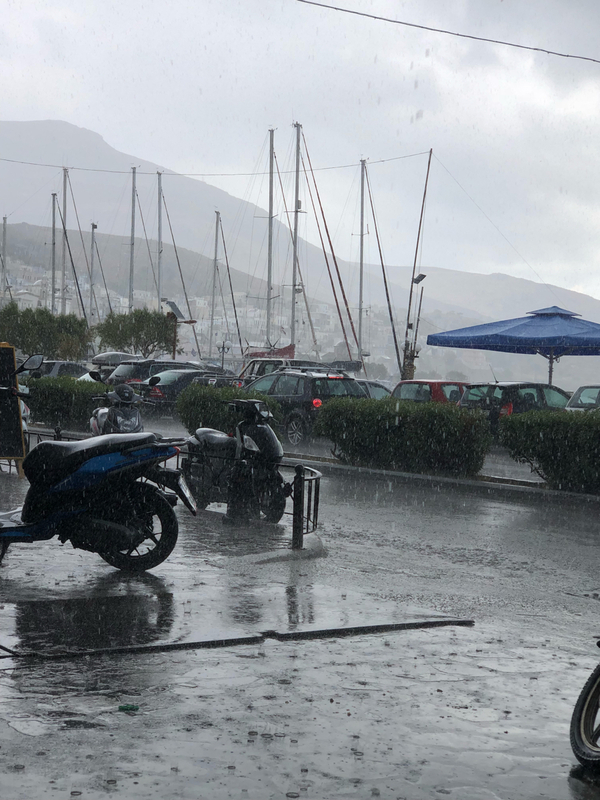 The greek islands urgently needed some rain. Most of the rain came down on Turkey and Greek mainland. On our way today from Xirokambos on Leros we already had some short showers. Now we stopped in Pothia to fill up our water tank. And it started raining like hell. With a big funnel we could have refilled as well. 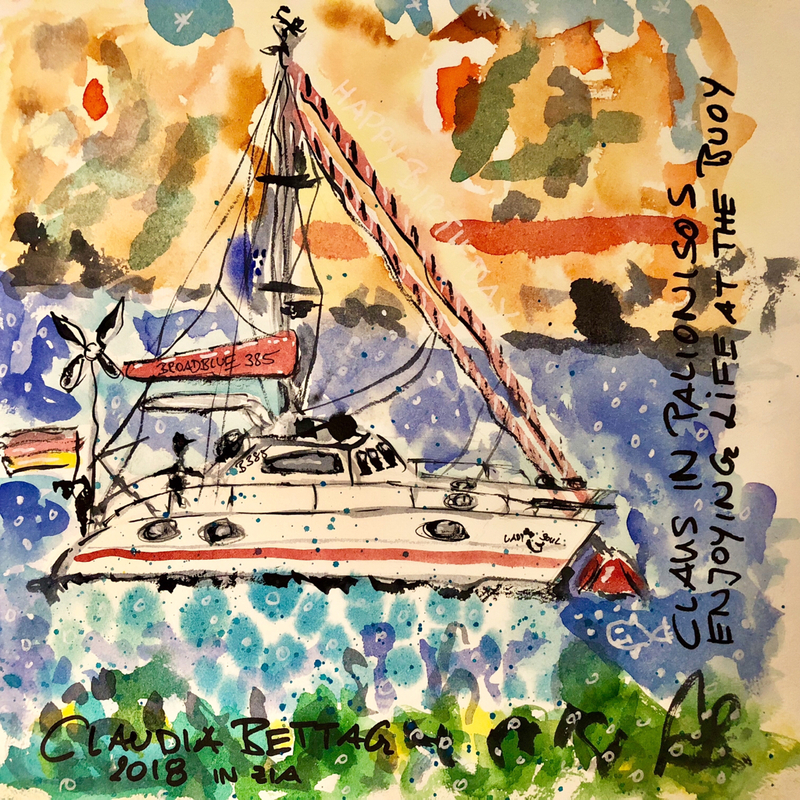 It shows Lady Soul at her prefered mooring buoy in Palionissos.